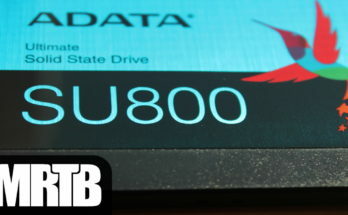 If your looking for a sturdy SSD drive, the new Titanium One might be just what your looking for. 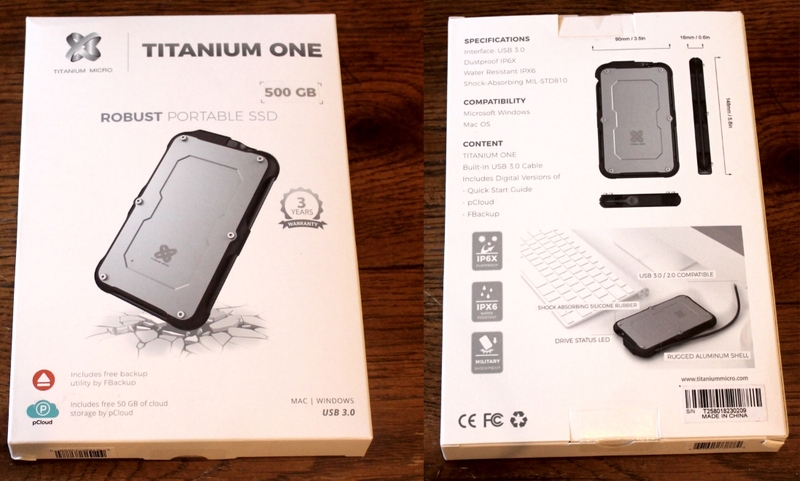 This is a review of the Titanium Micro “Titanium One” 500GB USB 3.0 3D Nand portable SSD drive. 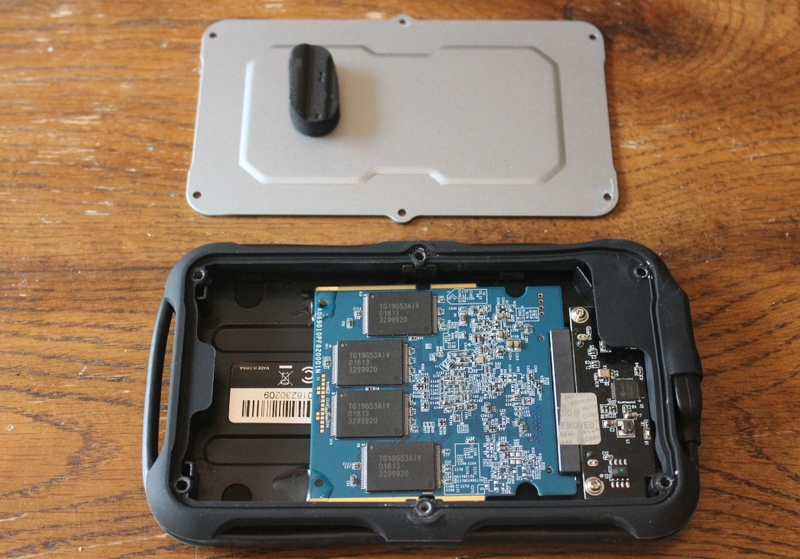 Its a 3D Nand SSD that is in a ruggedized case and includes a connected usb cable for easy connectivity. The drive that was sent to me to evaluate was the 500G model. I decided to run some speed tests and try it on a few devices and do ruggedness test of my own. You can see the results below. Disclaimer: This product was supplied to me free of charge. That did not influence the opinion in the review. Also this site uses affiliate links. This means I may make a small amount of money at no cost to you if you buy something after clicking a link on this site. This is to help cover the costs of this site. Thanks for visiting. The SSD drive came in a nice box and packaged well. One of the first things I noticed was the IP6X and IPX6 ratings for Dust and water resistance, and Military Shock proof. This type of stuff always makes me smile. I love it when things are built to what some other people might say are “Overbuilt” standards. Opening the box, I get to see the drive and the contents. The picture below are all the contents included. Just the SSD, a plastic bag and a warranty card. It’s a 3 year warranty on the drive. I will probably register it, but when I have had a hard drive failures in the past with mechanical drives, I tend to just eat my loss, rather then send back a drive that I was unable to wipe clean of all my personal information. 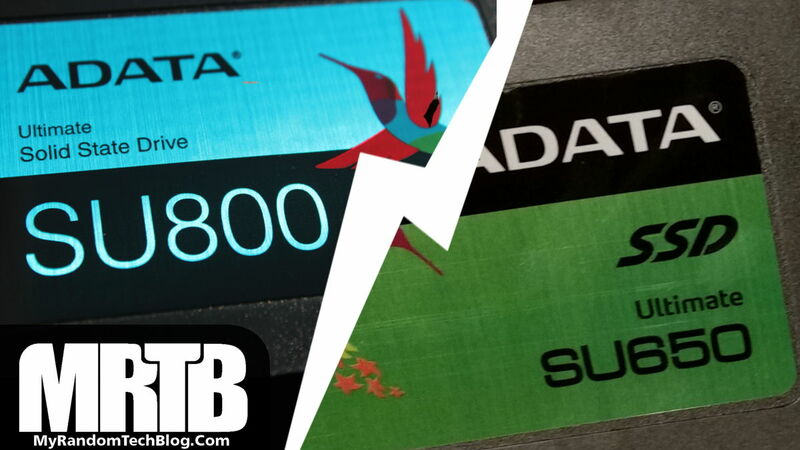 ( That sums up my thoughts on hard drive warranties for ALL manufacturers hard drives, as I have no idea how they handle the data on the drive when they get it, or if they resell the returned drive as refurbed units.) But that being said, a 3 year warranty is nice if you do not have critical data on it. 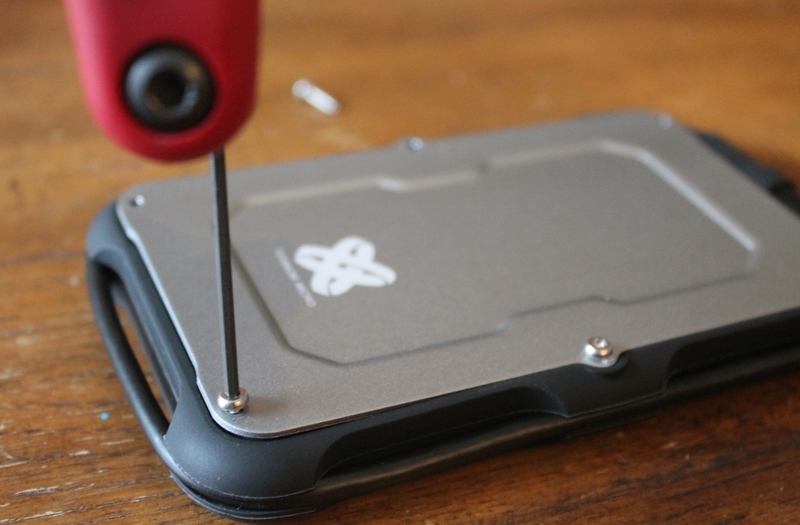 The drive has a nice Aluminum top with 6 Hex screws. It has a nice weight to it. Not to heavy so it wont be to much extra weight in the laptop bag. It has a nice grove in the sides to keep the attached cable tucked away when not in use. 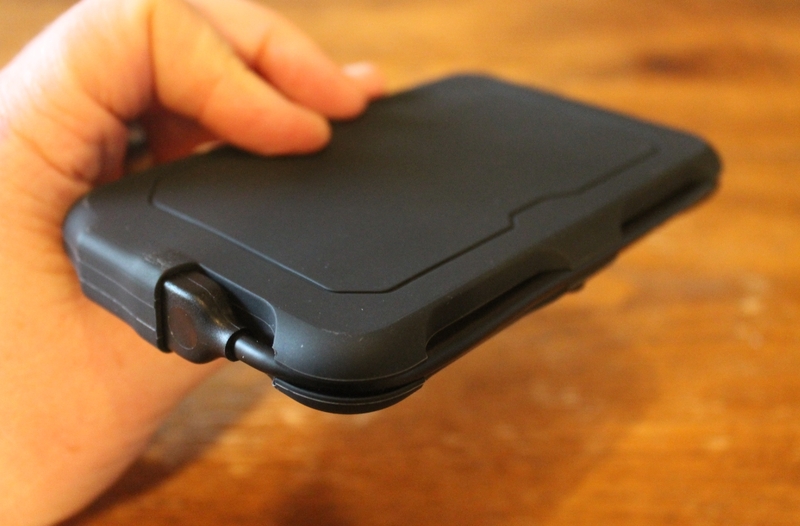 And on the top of the unit you can just tuck the USB end into the rubber cover. I also does have a LED you can see for hard drive activity. 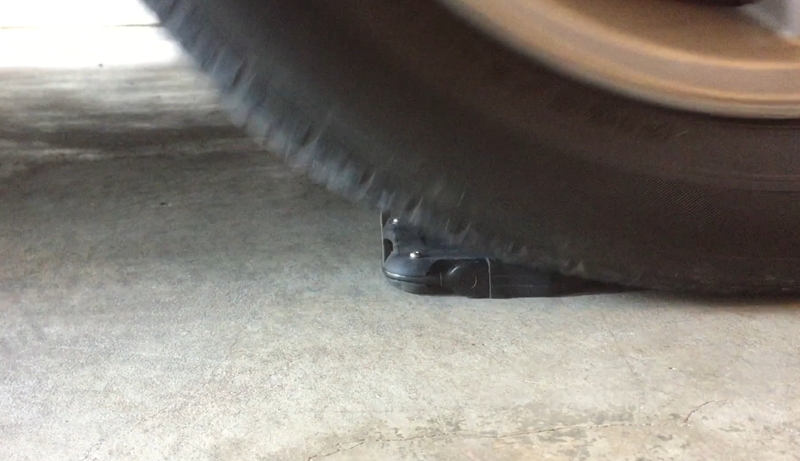 It is under the rubber but you can still make it out easy enough. It is not super bright which I liked. Next I decided to run a few tests to see what speeds it ran at. First I used CrystalDiskInfo to see what kind of drive it was. I was pleasantly surprised to see it was a name brand drive. It was a Gigabyte GP-GSTFS30512GTTD 512GB drive. Looking at the Gigabyte website I found this is their UD PRO 512GB model. You can find all the detailed specs there, but it mentioned 1,800,000 Hour MTBF (Mean Time Between Failure) when I looked. 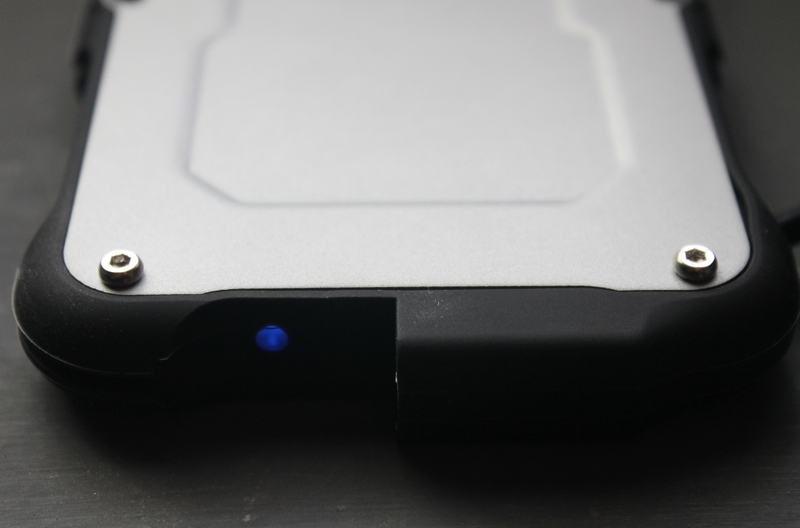 I am not sure if every Titanium One portable SSD will use the same manufactures drives or not. But this is what was in the one sent me. 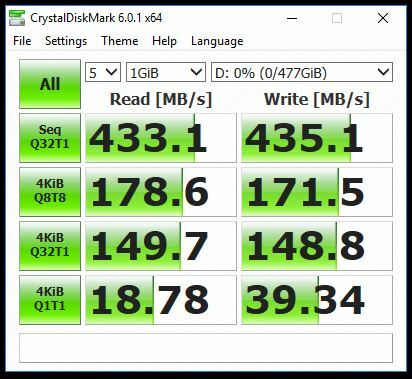 The results were right around what I expected, better then some SSDs I have at home, I would say it ran around the same as my Adata SU650. 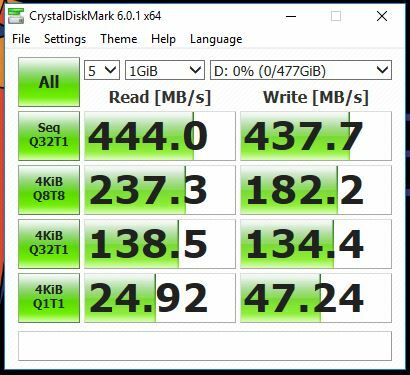 But if your looking for the fastest SSD available it was not as good as some of the results I have seen people post of some Samsung SSD’s . It always seems hard for any brand to top Samsung speeds from what I have seen. But for this price point I thought it looked like a great deal. Of course these results totally blow a mechanical hard drive out of the water. Its amazing how fast a SSD is compared to a mechanical drive. Next I decided to take it apart to look inside. [WARNING: I am pretty sure this would void your warranty]. It was pretty easy to get it opened I just removed the 6 screws from the top. I did notice the screws were in tight and seemed to have some sort of a glue on them. I assume this was for some of the water/dust protection. Here is what it looked like inside. You can see the SSD is glued to the frame so it will not come lose. As extra protection they have that piece of foam on the bottom of the top piece to keep it from sliding out and moving around. There is a little extra room in there not being used. Hmmm… wondering what I could put in there if I wanted to keep something hidden. Will keep that in mind. I put it back together and decided to check the power usage. When I plug it in it jumps up to about .25 amps then settles down to around .07-.08 amps. It functioned fine on my Chromebook as well as my PC. It also mentions on the box it works fine with MacOS. After trying it out on my Chromebook, I decided to give it a try on one of my old android phones. 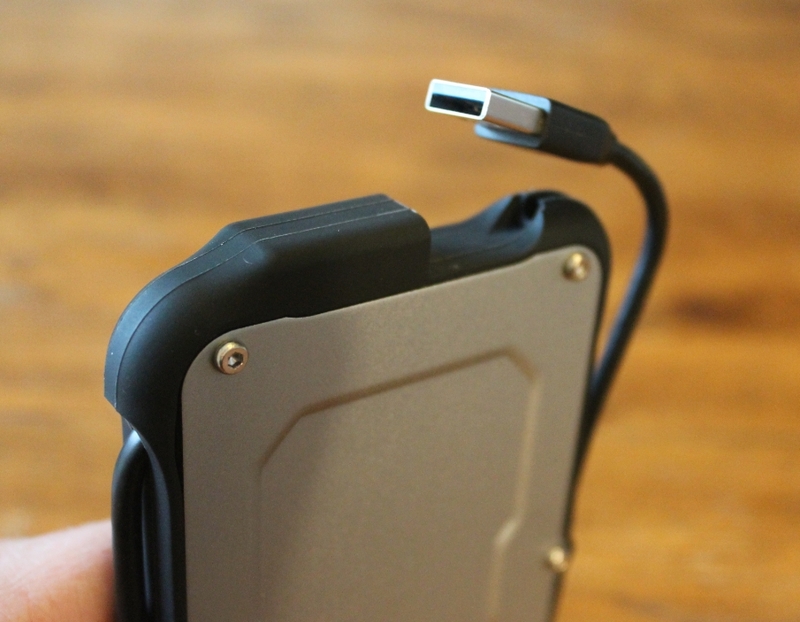 I used a USB OTG cable like this one HERE and plugged it into my Samsung Galaxy S5. While I saw no mention anywhere that it works with android phones, it worked just fine for me. Your mileage may vary with this. Here is a screenshot. I just needed to wipe off the tire tracks once I was done. Still working great. 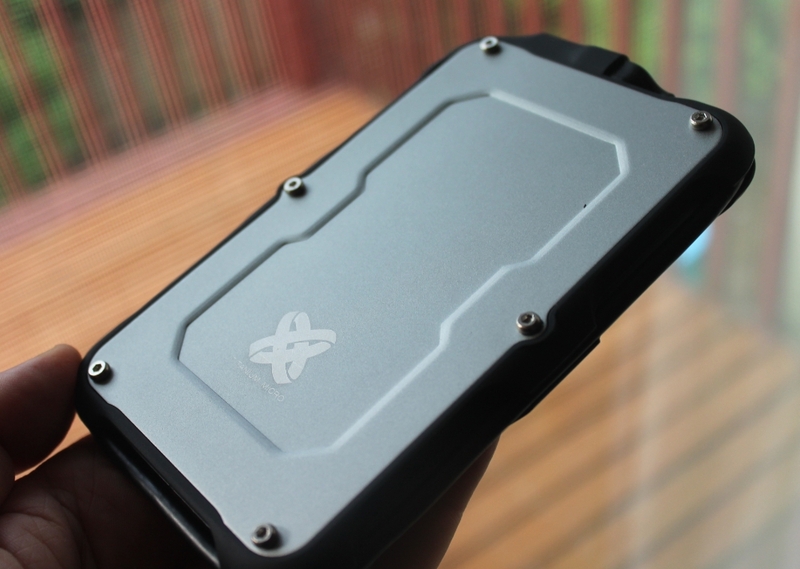 So far I think this is a very nice SSD drive in a great rugged case. 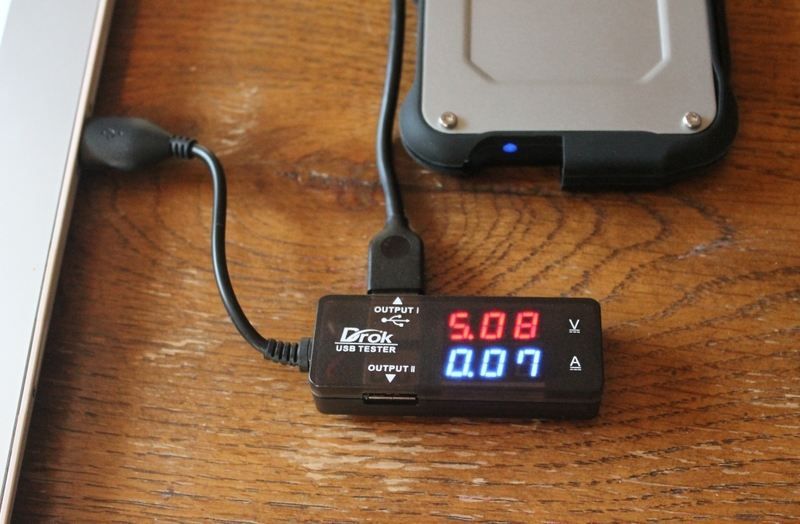 For the price they are selling it at when I did this review I think it would be a great option for someone looking for an external SSD. It also comes with a few extra features that I did not mention above as I have not evaluated them. 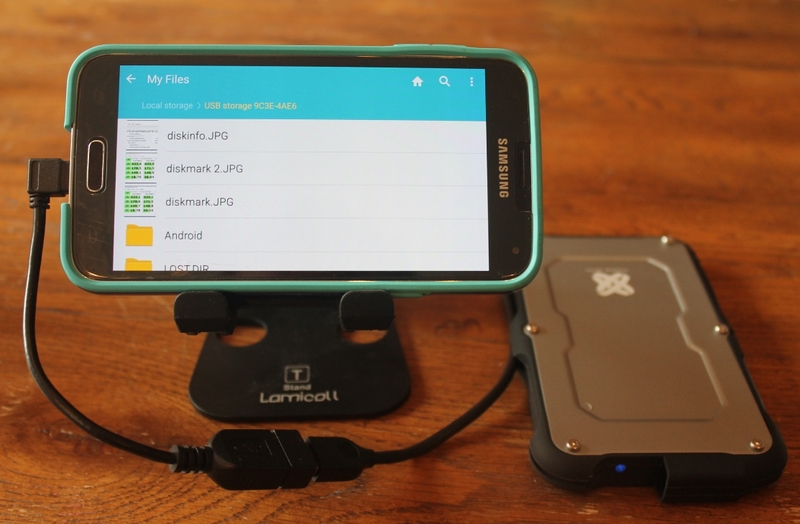 It comes with 50GB of cloud storage by pCLOUD, and a free backup program called FBackup. There were instructions for them along with a manual pre loaded onto the SSD drive. Just go to the folder called Getting Started. As for the drive durability, I have yet to have a SSD drive fail on my, but I have had many Mechanical drive failures. I am pretty happy it had a Gigabyte brand hard drive inside and not a no name brand. I don’t expect to see any failures but will update this post if I do. So far at home I have used many different SSD brands. (Adata SU650, PNY, Western Digital, Team Group, Silicon Power, XPG) So far I have had really good luck with all of the brands. 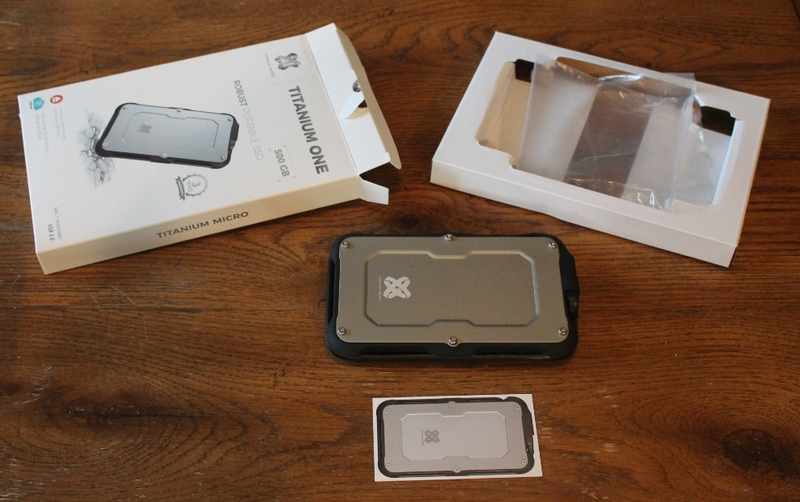 It also comes in 120GB, 240GB, 500GB, 1T and 2TB sizes if you were looking for a different size. In case you were wondering what I plan to use it for. I was going to put encrypted backups and some other files on it, and due to its light weight keep it with me in my laptop bag. But after showing it to my wife and talking about it, she seems to have taken a linking to it and wants to use it to back up all her pictures. So at this point I may have to give in and let her use it.